So my first post about managing Macs. We have a lab of them, not a large amount but it would take a considerable amount of time to log onto each one and change the settings on each one (which we’ve done in the past mind you). So to add to the blog I will also share every now and then tips and tricks on performing administration tasks on Macs. So let’s begin. 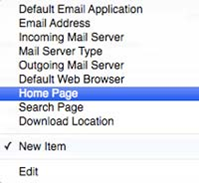 Today I’m going to show you how to go about setting a homepage for the browser (typically safari) on your Mac environment from Workgroup manager (this works like Group Policy on windows in concept but is a little different under the hood). So first off we need to add in some extra features to Workgroup Manager. Why these aren’t included to begin with is beyond me, but alas, it’s easy once you know what to do. Start-up Workgroup Manager, click on the preferences tab, click on the details tab and at the bottom left click on the Plus button. This will load up an add dialog, we need navigate to /System/Library/CoreServices and under this path find and select ManagedClient.app and add this to the Workgroup Manager. So now how do we go about setting the home page. Under the Details pane, click Internet Configuration. Now select the Pen button towards the bottom and click to highlight the Always line. Now we want to add a new key so click the New Key button at the top and select Home Page. Simply enter the desired location and click add. When viewing Public Folders in Outlook you recieve the following error, Cannot expand the folder. Microsoft Exchange is not available.